The program at Iroquois Springs is power-packed and diverse. 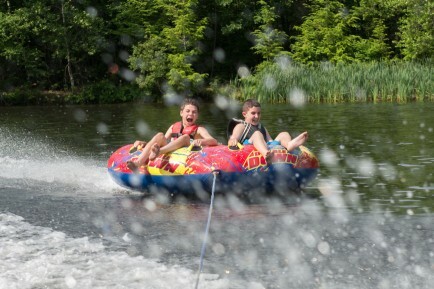 Campers participate in a wide variety of activities, many of which they may never have tried before! In all our activities, the instruction and supervision is hands-on. Campers are encouraged to try everything, give it their best shot and have a lot of fun doing it! This allows each camper to progress and improve their skill development at their own pace, giving him or her self-confidence and a sense of accomplishment, while allowing for spontaneity. Our comprehensive program consists of land and water sports, outdoor adventure, creative arts, media, performing arts, horseback riding and fitness.